Our fashion forward work avoids fads of the moment. From avant-garde to understated it can correctly cut any shape or style. 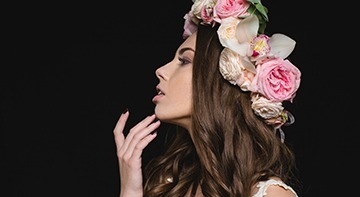 It relies upon meticulous sectioning, correct reading of hair growth, an understanding of bone structure, suitability and compatibility, hair texture and proper consultation to achieve optimum results. 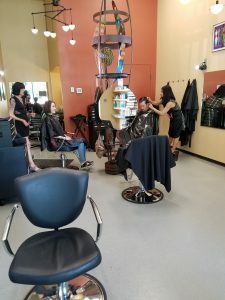 Eurocuts is a boutique Hair Salon located in the heart of the financial district in Downtown Portland. Our hairdressers have a combined total of over 65 years of experience in hair cutting, coloring and texture modification. 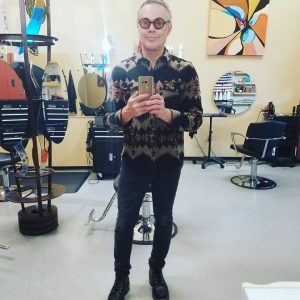 The owner, Steven Earl, features training from advanced teams from Vidal Sassoon along with certification from both Goldwell and Framesi Hair Color companies while he did platform work for them. He specializes in quality, hand crafted, fashion forward work that avoids fads of the moment. At Eurocuts you will find no assistants or anyone other than your hairdresser that will work with you one-on-one from start to finish. We will do an in depth consultation to minimize miscommunication and back up all of our work to the best of our ability. 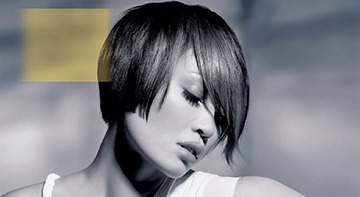 Steven Earl exclusively uses Framesi hair color and hair care products. Framesi strives to set standards for professional hair care throughout the world. Framesi’s loyal partnership with hairdressers has brought about superior product innovations using state-of-the art technology. Look at your hair in the mirror. Analyze the undertones of your natural hair color and the condition of the hair. Now ask yourself exactly what it will take for you to become a flaxen blonde, fiery redhead, or toffee-toned brunette within the next hour. Answer? A Framesi trained hair care professional; Otherwise known as an Artist. When you get your hair colored by a Framesi trained hair care professional, you get shimmering, long-lasting hair color that looks terrific with your skin tone and eye color. Plus, you’ll enjoy healthy, shiny locks that are more manageable than ever. That’s because Framesi colorists use the best hair color in the world, and are highly trained in how to use it-for perfect results every time. Even if you botched your color by doing it at home, professional colorists can fix it, give you back the exact shade you want and restore the glossy sheen that all hair should have. Whether you bleached your hair brittle or turned the tone to mud, it may take a little time but you can get back that spectacular color and healthy looking hair you want. Have a celebrity whose hair color you love? A Framesi professional colorist can analyze it, match it and tell you what it’ll take for you to get it. Want to keep those highlights long after the summer sun is gone? 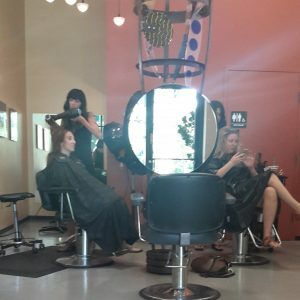 It’s not a problem at a Framesi salon. A custom shade created just for you. No one else in the world will have your exact hair color when your Framesi colorist customizes a color formula and determines exactly how it will look when applied over the color you have now. Want your color a tad lighter? A bit less red? Incredibly caramelized? Colorists can do that. Highlights just where you want them. Colorists are trained in all the newest techniques, from baliage hair painting to tone-on-tone foiling. Not only can they give you the exact shade of highlights you want; they can position them right where you want them and adjust the size to create everything from shimmering micro-lights to bold color-chunks. Hair color that makes your cut look better. 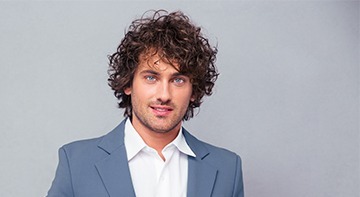 Instead of a hairdo, you’ll enjoy a total hair design when a colorist applies color to enhance your haircut and even your hair’s natural movement. Natural-looking, long-lasting gray coverage. Gray isn’t like pigmented hair; it’s coarser, thicker and harder to cover up. Not only can a Framesi professional make gray go away, they can make your new color look entirely natural, shiny, healthy and youthful. High-fashion color without the worry. If you like the idea of changing your color frequently or want an exciting “better than nature” shade, colorists can create revved-up reds, butterscotch blondes and even hot pink-if you want it. And they can do it gently, without leaving your hair dry or damaged. For the color of your dreams, go to a professional salon. Because there are some things you shouldn’t try at home. 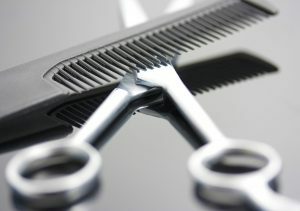 Location: Eurocuts is located in the heart of the financial district in downtown Portland. Parking can be challenging if driving to EuroCuts. There is a Smart Park lot on Jefferson between First and Second Avenues. This lot is one block away and inexpensive. There is parking on the street and many buses go by the salon on a regular basis. We try very hard to be on time for our appointments to minimize inconvenience for our clients. We hope to meet you soon.